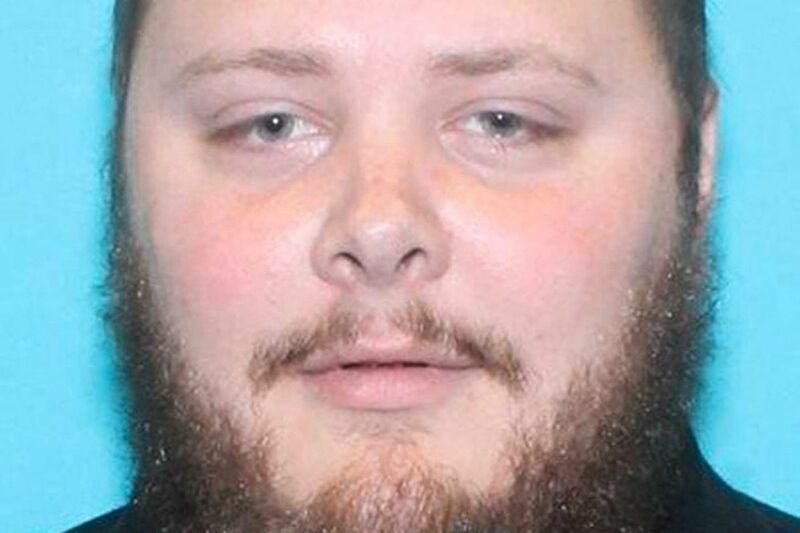 This undated photo provided by the Texas Department of Public Safety shows Devin Kelley, the subject in the shooting at the First Baptist Church in Sutherland Springs, Texas. After a massacre at a church in a small Texas town in which gunman Devin Patrick Kelley killed 26 people during worship services with an assault rifle, Google's autocomplete function is mistakenly sending some users searching for information about the shooting to links featuring false conspiracy theories. Investigators have concluded that the shooting, the deadliest in the history of Texas, appeared to stem from a "domestic situation," and was not racially, religiously or politically motivated. But when Google users search for Devin Kelley, the algorithm that powers the site's autocomplete function returns "Devin Kelley Antifa," providing numerous links both debunking and propping up false claims he was a member of antifa, a group that opposes fascism and is known for its militant tactics. "DEVIN PATRICK KELLEY ANTIFA CONFIRMED *PROOF*" proclaims the headline of one of the top links, pointing to a YouTube video on a channel called The Patriotic Beast, which has just three videos and 363 subscribers. Another link that shows up in Google's results, which points to a separate YouTube video, proclaims, "Devin Kelley is ANTIFA, American Terrorist and Democrat." The issue was replicated on various computers, and the Daily Beast's Ben Collins and the Wall Street Journal's Jack Nicas both noted Google's suggestions. YouTube is owned by Google's parent company, Alphabet. "Autocomplete predictions are algorithmically generated based on users' search activity and interests. Because of this, terms that appear in Autocomplete may be unexpected or unpleasant," Google said in a statement. "In this case, there is great interest in the topic which is being reflected in the tool. We try to be careful with autocompletions on names, and in this case, our system did not work as intended. We're currently working on our system for name detection to improve this process moving forward." Google, Twitter and Facebook have been under intense scrutiny by legislators after the depth and scope of Russia's use of the platforms to promote false information during the 2016 president campaign has become apparent. Last week, the House Intelligence Committee revealed 2,750 fake Twitter accounts created by employees at the Internet Research Agency, a "troll farm" funded by the Russian government. Among the fake accounts were two females popular in right-wing media circles that were retweeted by former Trump National Security Adviser Michael Flynn. Vice President Mike Pence followed five different accounts tied to the Internet Research Agency, according to the Daily Beast. In the immediate aftermath of the Texas shooting, right-wing figures like Mike Cernovich, Jack Posobiec and InfoWar's Alex Jones, known for pushing fake news stories about liberals, were quick to falsely report that Kelley carried an Antifa flag and told churchgoers "this is a communist revolution." The only evidence presented were fake images they claimed appeared on Kelley's Facebook page, and a screenshot of a made-up conversation via text message. "Photos of Texas shooter is consistent with the profile of an Antifa member," Cernovich wrote in one tweet that was shared more than 2,000 times. "This is looking more and more like Antifa terror." After having been called out for pushing the bogus conspiracy theory about Kelley, Posobiec told Newsweek that he simply shared a screenshot that had been posted on a Facebook page.